Have fun, meet new people and develop new skills by joining a local sporting team or association. There are many sports to choose from in all areas of Sydney. Everyone knows that playing sport is good for you physically but being a member of a team also teaches skills that you can take with you in to the wider worlds of school and work. Beyond the obvious team work, people also learn to deal with adversity through losses or injuries, how to problem-solve more effectively, as well as how to push themselves to improve their skills. These skills are eagerly sought in the workplace, with many employers keen to hire people who have participated in team sports. If you don't want to be a player, you could also consider coaching a junior team, getting involved in the administration side of a club, or even being an umpire or referee. Here are a few ideas to get you started on your sporting journey. Play Netball - Netball is the most popular female sport in Australia with an estimated one million players nationwide, and over 100,000 players in New South Wales alone, but netball is not just for women. There are a variety of mixed netball competitions and men's competitions that run across NSW as well. Netball NSW is one of the largest independent sports organisations in this state with players at all levels of performance in cities, suburbs, and country towns in all corners of New South Wales. 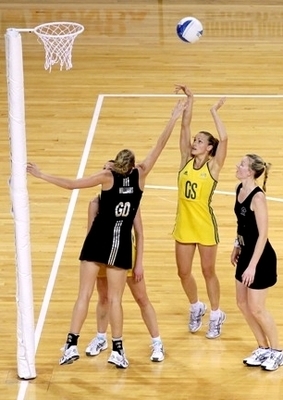 The Winter netball competition generally runs from April through to August each year. Registration for most associations occurs around February. There is sure to be a club near you looking for new members. Be a junior rugby league referee or team coach - Each week kids of all ages play rugby league in parks and sporting fields all over Sydney and every one of those games needs a referee and 2 touch judges. All teams need a coach and trainers and there are a multitude of other jobs that need doing week in and week out that require skills of all types. Being a sports official gets you involved, keeps you fit and introduces you to lots of new people with a similar interest in being a part of a community. Soccer is another hugely popular participator sport in Australia, played by men, women, boys and girls every weekend in the Winter season. It is a game with a long history with the first recorded game in Australia taking place in Hobart in May 1879. The first game known to have occurred in New South Wales was in 1880. There is also the year-round option of indoor soccer, known as Futsal, as an alternative or even in addition to the full field version. Futsal is a fast-paced game with 5 players on each side suitable for children and adults. A standard match consists of two halves of 20 minutes each and can be played all year round regardless of the weather. Or, how about basketball? With competitions for able bodied boys, girls, men and women as well as for wheelchair athletes, the vision impaired and hearing impaired players and for those with an intellectual disability, basketball has something to offer everyone. Be a player, or if you don't want to be a player you can also be a referee or coach. Swimming - Join a swimming club. Getting started in swimming is easy. No special equipment is needed to get started and it is a sport for life, suitable for all age groups, skill and fitness levels, and provides many opportunities for fun, fitness and recreation. It is important that our kids can swim, but as swimming and water play can be such a big part of our Summer, it is also important that adults are confident around the water as well. Swimming lessons are not only for kids but for all Australians and it's never too late to learn. 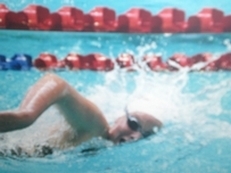 Those who want to get serious about swimming can join in competitions and participate in squad meets. Walking clubs, fishing, tennis, cycling, jogging clubs and surf clubs are some of the many other options available to you. It doesn't matter what you pick as long as you get out there and get amongst it. Life is for living, not watching.